Monday 29. August 2016 - Six interactive stories highlight type designers, contemporary typefaces, and the use of digital technology. Seeing is believing, touching is engaging, paper sends a message your hands can read even with your eyes shut…so starts the new Fresh Takes on Classic Type on CLASSIC Papers (#typelove) promotion from Neenah. This big, bold, beautiful and playful new book is a book that designers will want to read with their eyes wide open. From newcomers to renowned typographical masters, the book features typefaces by Jessica Hische, Luke Lisi, Erik Spiekermann, Matthew Carter, and Nicole and Petra Kapitza. Each typeface is the star of its own story, told through design, a variety of printing techniques and the textures and colors of signature Neenah CLASSIC brands: CLASSIC CREST, CLASSIC Linen, CLASSIC Laid, and CLASSIC COLUMNS Papers. 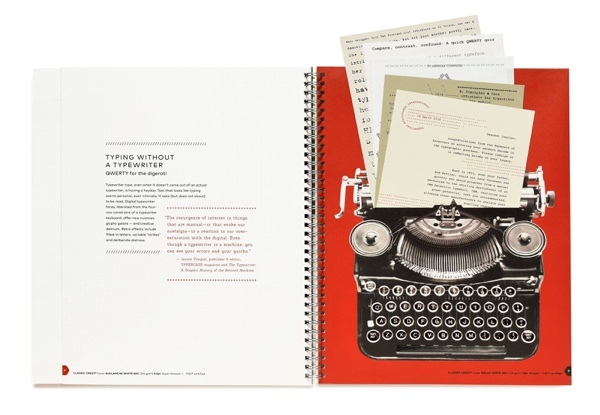 To see, touch, and explore all six stories, get a free copy of new Fresh Takes on Classic Type on CLASSIC Papers through your Neenah rep or your local merchant.